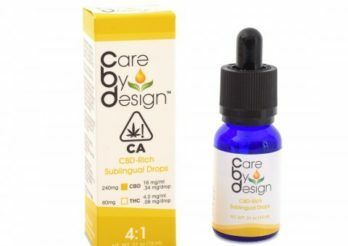 I like that this is a 2:1 ratio the other way – but still all very low dose at only 4mg THC and 2mg of CBD per dose. My favorite thing about this tincture though – hands down – is the flavor. 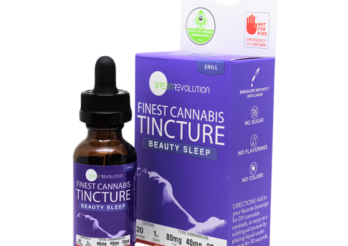 One of the best things about tinctures is that you are able to dial up the dose or dial back the dose easily and effectively and Care by Design makes it easy to see what you are doing with a lined dropper. 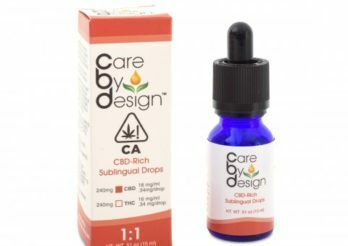 Care By Design gets accolades for responsible dosing labeling as well as providing a measured dropper for precise dosing. 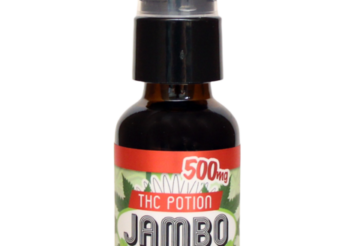 What I like most about this product is that it’s easy to use and dose and it’s a pretty decent flavor. You get 3mg of THC per spray which is still the perfect amount for me. It definitely has a subtle cannabis taste but all-in-all, I like the portability.